Something to look forward to: Now that Intel has revealed its 9th generation CPUs, prebuilt systems featuring the new processors are starting to appear. 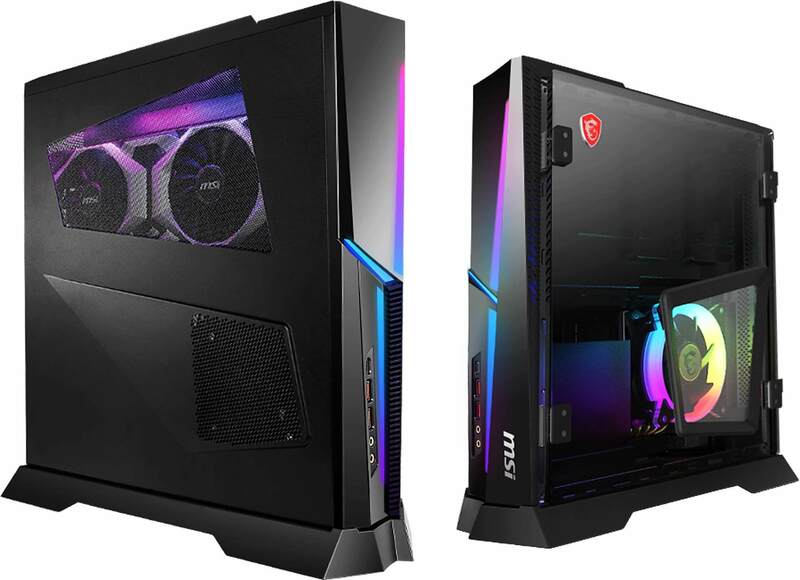 One of these—the Trident X—comes from MSI, and not only does it sport up to a Core i9-9900K, but it can also be specced with an RTX 2080 Ti GPU. Earlier this year, MSI released the Trident 3 Arctic gaming PC; a small form-factor PC that packed a 7th-gen Core i7-7700 and a GTX 1070. We liked the system so much that it scored an 85 in our review. Now, the company’s next version of the Trident has been upgraded with some of the most advanced PC hardware money can buy. Trident X buyers can choose between the flagship 8-core/16-thread Core i9-9900K, which costs $488 when bought separately. The chip operates at a base frequency of 3.6 GHz but will boost as high as 4.7 GHz on all cores with a maximum single-core frequency of 5 GHz. Alternatively, there’s the 8-core/8-thread Core i7-9700K—priced at $373 on its own—which has the same base frequency but a slightly lower 4.6 GHz/4.9 GHz boost. The Trident X doesn’t just offer the latest CPUs; it also comes with one of Nvidia’s new RTX graphics cards. Buyers can choose from the RTX 2070, RTX 2080, or the RTX 2080 Ti, making it a beastly gaming PC. The only thing it’s missing is a Z390-based motherboard—it uses an older Z370, instead. You can read more about new chipset here. Additionally, the Trident supports up to 32GB of DDR4-2666 memory via dual DIMM slots, a single M.2 SSD, and two 2.5-inch drive bays. It comes with a 450W 80 Plus Bronze Certified PSU or a 650W 80 Plus Gold Certified PSU, depending on what hardware customers want to pack into its 10-liter chassis. Looks-wise, there's plenty of RGB lighting and a hinged tempered glass side panel to show off all your components. It also features MSI’s Silent Storm Cooling 3 system, which uses three separate airflow channels to keep the CPU, GPU, and PSU cool. The Trident X will go on sale in November with a starting price of $2,299.